Likud Central Committee approves Netanyahu's proposal regarding the make-up of the party's list for the 21st Knesset. The Likud Central Committee on Tuesday evening approved Prime Minister Binyamin Netanyahu's proposal regarding the make-up of the party's list for the 21st Knesset. Netanyahu's proposal, which provoked unrest among some of the members, won the support of 63 percent of the participants in the vote. The voter turnout in the secret ballot was 42.5 percent of the members of the Central Committee who had the right to vote. The polling stations closed at 10:00 p.m. Israel time. 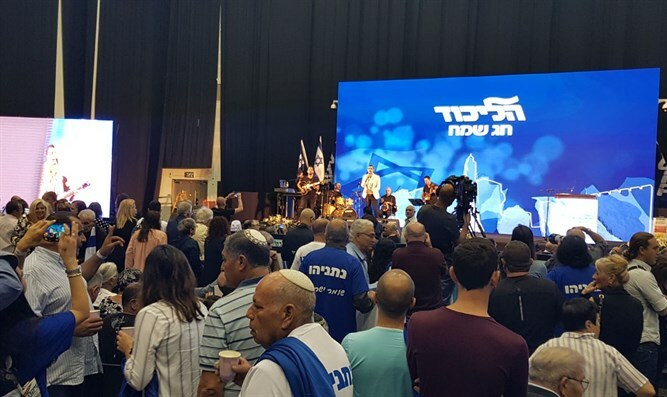 According to the proposal, the Likud’s current Knesset members will be able to compete for only 21 realistic spots on the party's list for the 21st Knesset. The Prime Minister received the authority to reserve the 21st spot on the list for a candidate of his choice. An additional proposal for a reserved spot will be submitted for approval, if necessary, before the elections. Four places on the list will be secured for women - the 10th spot, 20th spot, 25th spot and 31st spot. The final two spots among them will be reserved for a new woman who has not yet been elected to the Knesset. The representatives of the districts in Israel will be placed in the following spots on the list: 19th, 21st, 22nd, 26th, 29th, 34th, 36th, 38th, 41nd and 42nd. A spot reserved for a new immigrant will be in the 28th spot, the spot reserved for a non-Jew will be the 30th spot, and the spot for young people will be in the 32nd post. The spot reserved for a representative of the haredi sector will be in the 43rd spot on the list. Minister of Communications Ayoob Kara will have to run with his colleagues on the national list, after having entered the Knesset in the previous elections through the spot on the list that is reserved for a non-Jew, which he will unable to use as long as he is a serving MK.